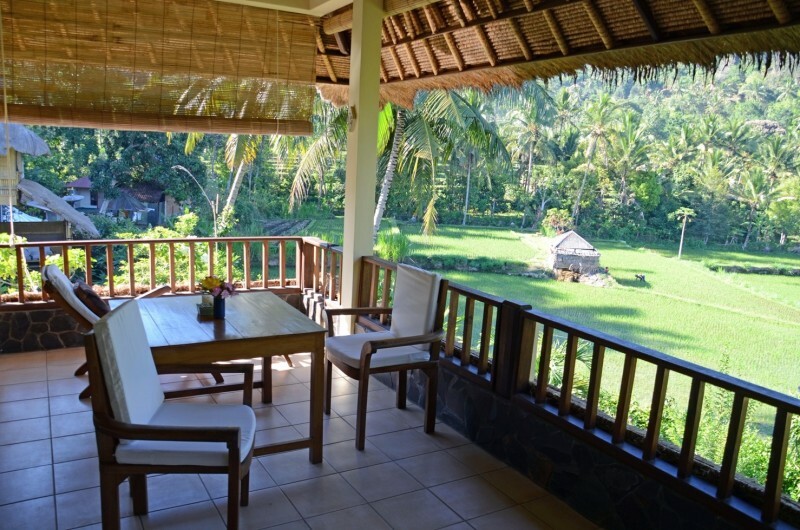 Off the beaten track, in the foothills that fringe the north coast of Bali, Villa Manuk is surrounded by beautiful countryside, tucked away in an idyllic valley of terraced rice fields. Backed by mountainous hills and forest, it is the ideal place for nature lovers who wish to discover the country life of Bali. Here life moves at a gentle pace. Paths meander through the rice fields, a tiny village, and around the valleys, following the contours of the hills. 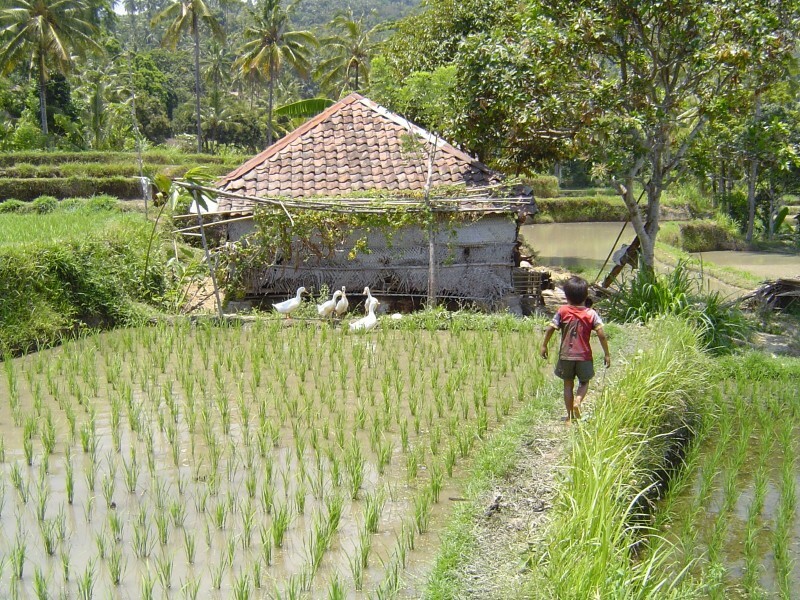 Nestled just outside the village at the top of the valley, looking out over (rice) fields, is Villa Manuk. The comfortably appointed bedrooms open onto large verandahs with views over the adjoining fields to the hills beyond. 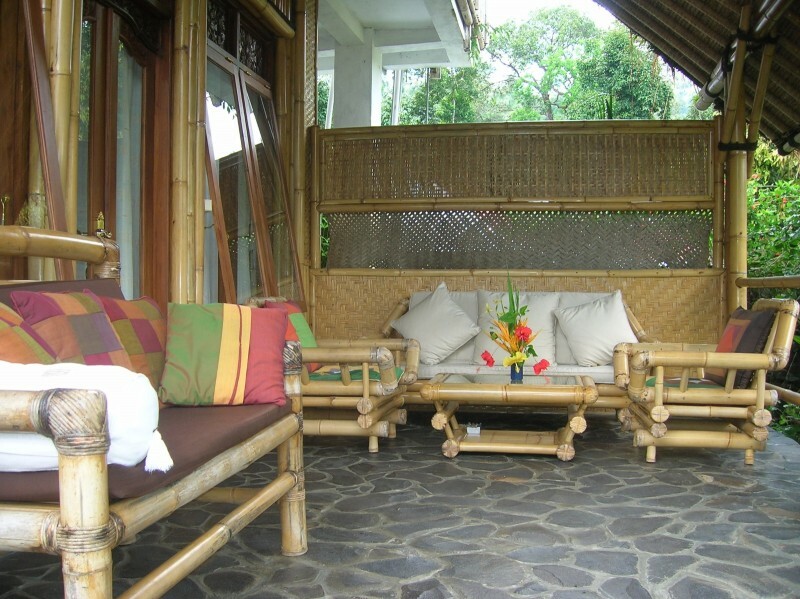 Comfortably furnished, the verandahs are perfectly secluded, ideal for relaxing with a book, sketching or writing. 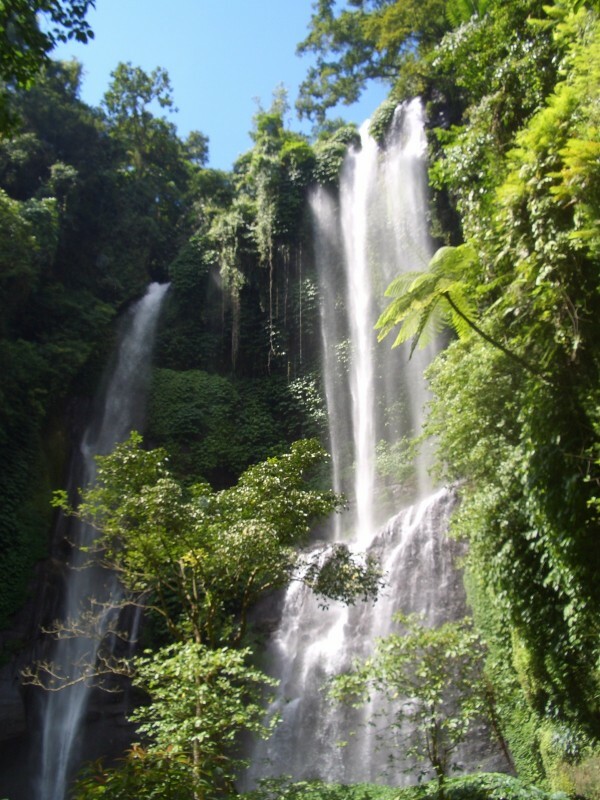 Just a short drive from Villa Manuk to the East, through the villages of Sawan and Bebetin, is the beautiful Sekumpul Waterfall, which makes a wonderful trek. The swimming pool has natural spring water running through and is free of chlorine and other chemicals. Its size is 10,5 m x 4 m. Please note that once a week we have to empty the pool for general cleaning and therefore the pool cannot be used on this day. In our Kampung Spa we can offer you special treatments from Samadhi Spa and traditional Balinese Massage from our well trained masseuses.